Springfield PC PROS – born of the need for a grass-fed, slow roasted, computer repair that will leave your mouth watering for more…wait a sec, are we a steak? No, we’re a Computer Repair Company that provides mobile computer repair and IT services in Springfield, MO. We pickup your computer or laptop, fix it in 72 hours or less, and deliver it right back to you. We know you are busy and downtime is not acceptable! Let us take the hassle out of getting your computer or laptop repaired. 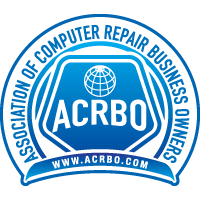 We also have many other services such as laptop screen repair, virus and malware removal, IT, and remote support! We cover all of Springfield MO and you can count on us to do it right the first time. Look at our past client reviews online! Make a call, (417) 233-1717 and answer the door. I was having trouble with my newly built computer, and had no idea where to go or who to talk to about it. The computer was not booting up. So, I found myself scouring the internet for solutions. I came across Springfield PC Pros, the fact that (at the time of searching) all the reviews were five stars, and there was quite a few of them caught my eye. So, I sent Tim a message with my information, he called back quickly, and I explained my situation. Later that day, he came to my home and picked up my computer. My issue was more complicated than most, as it was a hardware issue, so he would have to wait for new parts. While he had my computer he was very transparent about what was happening, what he thought, what he found, and how he was going to fix it. He left me with no questions unanswered. He did literally everything he could to make the entire process a complete breeze for me. If you have computer issues.. I recommend this business to the highest degree! My inattentive daughter, who is in college, dropped her laptop and the screen stopped working. I bought a new screen, thinking it needed replacing. The gentleman at Springfield PC Pros found the real problem and I was able to return the screen and save 80 bucks. I really appreciate the honesty and excellent service they provided. Love the pickup and drop off service. Tim kept us informed along the way. He kept us apprised of fees, when parts were arriving and when job would be complete. Fast and great service. Tim is wealth of information and willing to share. Despite being involved in a prior commitment with a private firm, Tim had the flexibility to make a pick up. Yes, Tim picks up your device from your house! With family responsibilities, I tried out Springfield PC Pros specifically because of the pick up/delivery services. Tim was very thorough in what the issue was and how he was going to repair it. My device was repaired and delivered within a couple of days, which was a huge break because of a deadline we wanted to meet using our device. Tim answered all our questions to our satisfaction. Thank you Springfield PC Pros! My hard drive failed, I called Springfield PC pros and Tim picked it up within an hour. He was easy to talk to and helped me understand what my options were. They are very reasonably priced! He even updated my operating system, dusted out the inside of the computer and made it run better than it did before. I would recommend him to anyone who has computer troubles. Springfield PC Pros is amazing! Tim picked up my desktop for a big upgrade to my recording studio PC, and returned it the very same day! Flawless! Very kind, helpful, and professional. I was so impressed, I would recommend to anyone and everyone! Springfield PC Pros was incredibly quick to diagnosis and fix my laptop. Tim was friendly and kept in contact with me the entire time during the repair process. I would highly recommend Springfield PC Pros. You, our customers, are single handedly the most important aspect of our business. Without you, we have nothing. We want to provide you with some of the best, top-notch customer service that you've experienced with a computer repair company. It's easy to deliver on that actually. Just be fair, honest, and upfront. We follow the golden rule: "Treat others as you would want to be treated". We're still a fairly new business and getting off the ground. It is a lot harder than you think to start a business from scratch, especially in this economy, which is why we went with our flat-rate pricing model on computer repair. 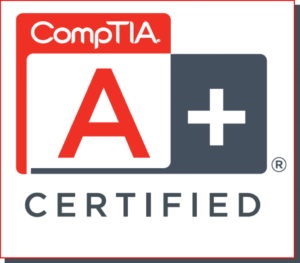 In this business reputation is everything and we promise to treat you fairly and honestly without any shady business tactics that other computer companies might use. We will treat you exactly like we would want to be treated and in turn, my business will continue to grow. 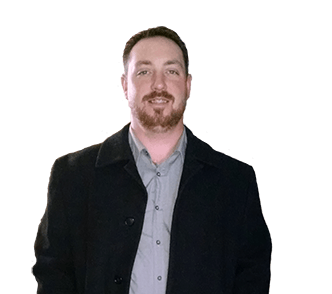 Timothy has over 20 years of experience in the IT field that emcompasses working for Fortune 500 companies as well as small business. This experience has provided a well rounded understanding of what it takes to provide excellent customer service and a positive experience for his clients. He has brought that experience with him to Springfield PC PROS. When not working on saving the world for his clients, Timothy enjoys working on technology projects, taking day trips, spending time with his mini-pig, and trying to make his lawn grow something other than weeds. Shivers has over 4 years of experience meeting new people and conning them out of treats. When she is not spending time in the yard grazing, she enjoys sleeping on the couch or under her daddy's desk. Shivers spends her days off sunbathing and thoroughly enjoys having her belly rubbed. Shivers is living the good life, on days when its cold and gloomy, she will wake up to eat breakfast, stick he nose out the back door to check the weather, and will decide go back in bed; Burying herself under a pile of blankets where she will happily spend the rest of the day. Shivers loves life any anything that has to do with food. 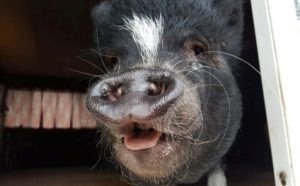 For those of you who are wondering...Yes, she is an indoor mini-pig and completely housebroken, who loves to snuggle, and lives for attention (and food). Springfield PC PROS is a mobile computer repair company. We come to you. We serve the residents of Springfield, MO and surrounding communities. Give us a call or shoot a message and we’ll be more than happy to talk about your IT needs.